Think about how you got your start in Salesforce. I’m sure there was someone who had your back, encouraging you every step of the way. They were a Multiplier, willing to teach and reach others. For me, the Be A Multiplier concept has really taken a focus as I’m starting to look for a new job. I’d dabbled in the BAM space through being the founder and leader of the Pittsburgh Women in Tech group, but things got real for me in the past few weeks. You see, when you love what you do, people can tell. They can see you are passionate and they want to know more. The past few weeks I’ve been talking about Salesforce left and right and the fact that it is so deep in my veins is spewing out of everyone around me. Imagine what the Salesforce Ohana could look like if we were each a multiplier! The concept of Be a Multiplier (BAM) is simple. If you teach 10 friends, and they teach 10 others, and so on, we can reach millions and help champion #EqualityForAll. We’ve mentioned it before, there is a talent gap in the Salesforce space – over 300,000 job postings related to Salesforce today and 3.3. million new jobs being created by 2022. There is a huge opportunity to help empower others by teaching them how to get started with Salesforce. 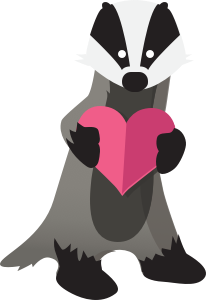 Imagine the impact if each of you reading this post did two things – shared this post and shared your love for Salesforce with someone else, we surely can help fill that gap! If Salesforce was just dropped in your lap like it was for us Accidentals, you might be wondering how you could ever help someone else get started. We Accidentals have said it, we got our first break in the ecosystem because someone believed in us. Being that person for someone else is just the beginning. The Ohana is here for you! How Can YOU Be a Multiplier? Inspire others – Share your Salesforce story. When Becky finally came clean about losing her job, people started to ask her about what she does and how she got started doing it. In one day alone, she had three conversations with people who had never heard about Salesforce before. They’re hooked and are blazing trails on Trailblazer with the self-paced and fun way to learn the tool. But imagine if she had shared her story earlier, how many more people would have stepped out and asked for more information? Don’t should on yourselves, get out there and start inspiring. Want a space to share your story? Let us know via an email to ohana@theaccidentaladmins.com and we can feature you here on the blog! Make an impact – Be the change you want to see. Kristi, our resident humanitarian, has done some impactful things even when her humanitarian sensibilities are tested. Maybe you aren’t confident that you can stand up and show up when faced with a conflict, but baby steps are made when you start to make a difference for even one person in your life. Once you start to share your story, spend some time helping others get started. Step out and do a LinkedIn video showing how to sign up for Trailhead or encouraging people to join you at your next Trailblazer Community Group event. Help others remove barriers and see their potential by letting them know you believe in them. Surround yourself with people who have a wider world lens so you can start to see beyond your perspective then you will start to capitalize on that for those around you. Looking for inspiration? Check out the Dreamforce ’18 Equality Keynote with Tracee Ellis Ross and Adam Rippon for an uplifting session on being advocates for change. Give Back – Lead a learning event in your local community. Salesforce provides us Trailblazers with incredible ready-made content to get you started. 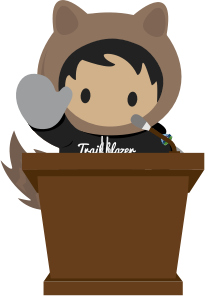 Check out the BAM Trailmixes on Trailhead that are designed to help you host workshops on app building, reports & dashboard, equality and more. You don’t need to be a Trailblazer Community Group Leader to do this, but feel free to reach out to your local group to see if you can get involved that way, too! Get connected. If you aren’t part of a Trailblazer Community Group, join one near you today!